With Vision exercise bikes, you get exercise equipment of the same quality and feel as you find in a health club. The company can boast of numerous Best Buy awards for its bike designs. 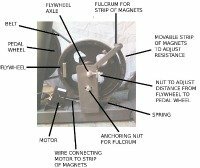 Vision Fitness began in 1993 as the exercise bike division of Trek® Bicycle Company, one of the world’s largest manufacturers of quality outdoor bicycles. Three years later the brand was spun off by the Trek Fitness management team to better focus on the specialized fitness industry. In 2005, Vision expanded into the commercial products market. Based in Lake Mills, Wisconsin, Vision Fitness is now a division of Johnson Tech, the worldwide conglomerate that also makes the brands AFG, Horizon, and Matrix. Vision also makes treadmills, elliptical crosstrainers and strength equipment. The full line of Vision exercise bikes includes three recumbents (R20, R40 and R70), three uprights (U20, U40 and U70), and an indoor cycle or “spin bike" (V-Series). When you order one of the uprights or recuments, you then choose a Classic, Elegant +, or Touch + console. This exciting option allows the customer to customize a frame style with the console features they want for the best fit. 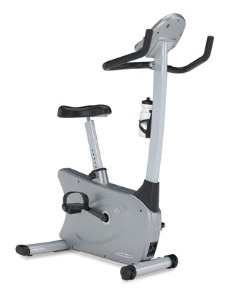 Check out the latest Vision Exercise Bikes on Sale Now Online! In addition to the many positive reviews given by consumers and industry insiders, Vision exercise bikes are the most awarded indoor cycling products in the industry. All together, the products have won 28 Best Buy awards over the past 14 years. The 500+ specialty retailers in North America continue to rank Vision as one of the top fitness equipment makers for its quality products as well as superior customer service. The purchase of a Vision will be one of the best health investments you can make. 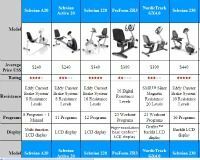 Vision R20 Recumbent - The company's entry level recumbent offering gives you three console choices plus plenty of workout programs and the ability to track your results. Vision V-Series Indoor Cycle - Used in high-octane Spinning classes and by athletes training for road races and triathlons; rated for both home and commercial use. 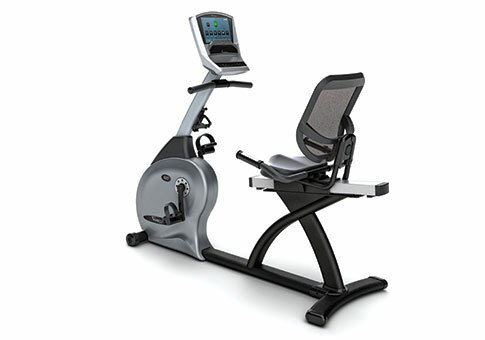 Vision R2250 Semi-Recumbent Bike - Touted as the quietest bike in the fitness industry. Friction-free magnetic resistance uses no wearing parts to provide superior durability and ultra-quiet performance. Vision E4000 Dual-Action Upright Bike - The quietest specialty bike on the market that allows you to control your resistance as well as get an upper body workout while pedaling.